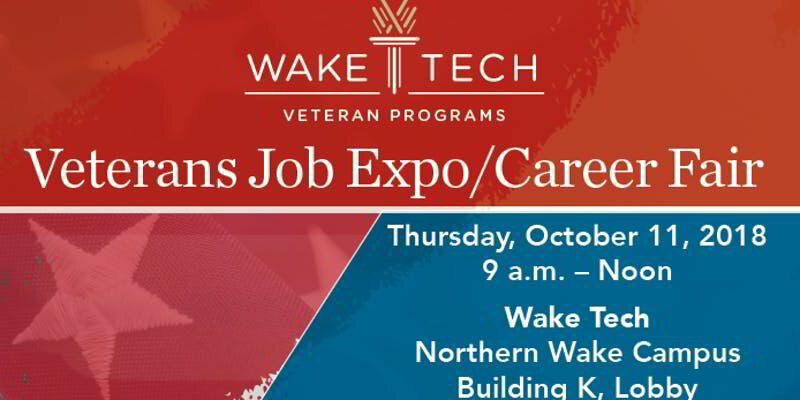 Wake Technical Community College and the NC Joint Forces National Guard invite you to participate in a recruiting event on October 11, 2018, from 9:00-12:00 for National Guardsmen; Student Veterans and their family members; interested students; and job seekers. This is a networking event to connect with employers in the skilled trades and construction, computer tech fields, and business. Registration for this event is free. Dress code is business casual. Donate by clicking on the button below: *Archangel Alliance operates under no overhead. Therefore, 100% of all donations go directly to veteran families in need. All donations are tax-deductible. If you would like to be a corporate sponsor, please contact us.